In earlier generations people grew up almost expecting to have cavities when we went to the dentist. Having the dentist poke, prod, anesthetize and drill for an hour was considered normal. However, that is not the case anymore! Times have changed! Today, our children (and parents) have greater dental knowledge. For example, one of the greatest health benefits is the fluoridation of public water. Parents are more educated on the importance of dental hygiene and teach their children to brush and floss. Also, parents bring their children to the dentist more frequently and do preventive procedures like sealant to protect their children’s teeth from decay. The Academy of Pediatric Dentists and dental books state that your child should have their first dental exam by year one. This is good on paper but usually does not work out so well. Dr. Nugent tells parents to bring their child or infant in during the adult’s dental cleaning. Dr. Nugent will attempt to look inside the mouth and screen for problems. Sometimes the child will cooperate and sometimes the child will not open at all. However, it is a good idea to bring the child so that they can see Mom or Dad getting their teeth cleaned. Dr. Nugent goes over proper oral hygiene for the child. Usually the child will like to go “up and down” on our “magic” chair. We go over positive reinforcement and praise the child for brushing and flossing. We like to teach the children that going to the dentist is fun! We have toys and children’s books in the reception area. Furthermore, we have special treats from the pirates treasure chest. We really go out of our way to make it fun for the child. Secrets for Raising Cavity Free Kids! 1. Babies usually do not have any teeth until about six months of age. Begin cleaning your baby’s mouth with a clean gauze pad the first week the child is brought home from the hospital. A daily cleaning in infancy will get your child accustomed to dental cleaning. 2. Starting early is very beneficial; your baby is more likely to accept your cleaning their teeth later, when it is necessary to prevent tooth decay. Incorporate a toothbrush and non-fluoride toothpaste into the routine. When the child is two years old switch to fluoride toothpaste. 3. Baby teeth will eventually fall out but they are vital in child’s dental development. The baby teeth are necessary for proper nutrition and speech. Also, the baby teeth hold the space for the future adult teeth. 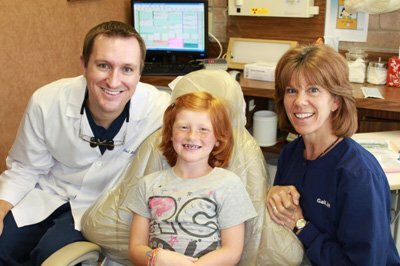 Dr. Nugent will make sure your child’s dental development is proceeding normally. 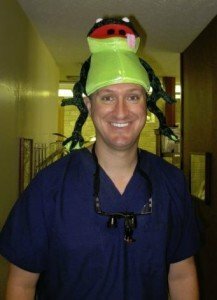 Dr. Nugent will incorporate the latest in cavity prevention. This includes sealants and fluoride to help prevent dental cavities. 5. It is not advised to give a child a bottle at night with juice or milk. The child will have sugars and carbohydrates in their mouth after their teeth are brushed. The bacteria in the mouth will utilized the sugar and carbohydrates to produce acid. If you child must have a bottle or sippy cup then it is best that the liquid is only water. 6. Children under the age of seven need help brushing. Most children under 7 do not have the dexterity to properly brush their teeth. Also, children usually do not brush for two minutes. An electric toothbrush is great because it efficiently cleans and has a two minute timer built into the toothbrush. If your child likes to do everything on their own, the let them brush first and then say that it’s mommy or daddy’s turn. 7. Children learn the behavior they see. The parent’s dental health is just as important as the kids. When was the last time you had your dental check up and cleaning? Kids Dentistry is fun. Dr. Nugent with Dr. Nugent. That is why parents from Pasadena, Deer Park, La Porte, League City, Friendswood and Houston, Texas bring their children to our office. You children are an amazing and precious gift. We want them to have a great dental experience. Visit us at 3421 Burke Rd Ste A, Pasadena, Texas 77504. 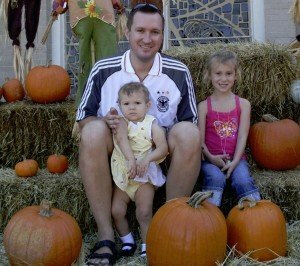 Dr. Nugent and his girls.